El IS ("Iosef Stalin"), con su cañón de 122 mm, fue una desagradable sorpresa para Wehrmacht. Producido desde octubre de 1943 hasta junio de 1945, con un total de 3483 IS-2 y 107 IS-1 fabricados. It is the first of the Iosef Stalin class tanks available to the player. 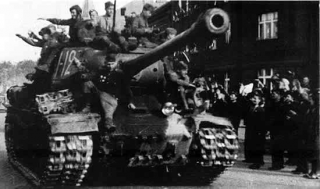 The IS represents both the IS-2 and the early model IS-1. 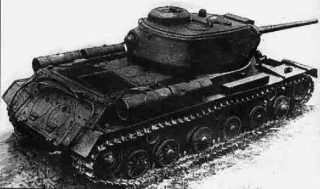 The IS can be researched from the KV-1S or from the KV-13, which is sometimes is used as an easy grind bridge. 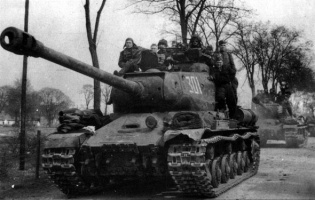 The stock tank is the IS-1, equipped with the 85mm gun also available on the KV-1S. The IS is a continuation of the KV-1S and will thus feel very similar in terms of agility and speed. When equipped with a 122mm gun, it technically becomes an IS-2, which will feel much more potent when engaging other heavies. 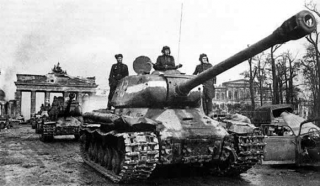 Like most Soviet heavy tanks, the IS fares much better engaging enemies at close range where the IS can hug cover and back off when it is reloading. Thus, the IS is better for maps such as Himmelsdorf where there are mostly close-quarters fighting and no big open areas. The frontal armor on the IS is decent enough to bounce a lot of shots from lower tiers and is surprisingly bouncy even towards other tier 7 tanks and higher tier tanks if you angle the tank properly. Play this tank smartly, hit your enemy, pull back to reload and hit your enemy again. You will find yourself doing massive amounts of damage to the enemy and if you play this tank properly, you can really help your team a lot. In comparison with the KV-3, the design philosophy for the IS shifted somewhat away from heavy armor plating towards increased mobility. 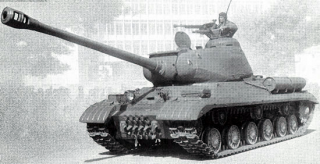 As a result, the IS is one of the more maneuverable heavy tanks. The stock 85mm gun is a joke and should be replaced as soon as possible. 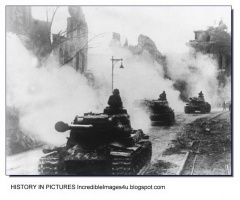 Against equal or higher tier enemies, most players play the IS as if it was a medium tank and supporting friendly heavy tanks that have heavier armor. While not quite fast enough to flank enemy tanks on a regular basis, this tank is terrific for "peek-a-boo" maneuvers from behind cover. On paper the stats for the second 122mm gun don't appear much better than the first 122mm, but the increased firing rate often makes the difference between dying and getting that last kill shot in on the enemy you're facing. 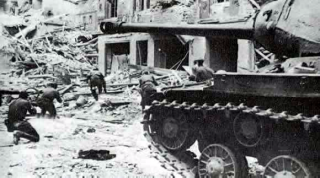 Against higher tier heavy tanks and tank destroyers, the 122's impressive damage is often greatly reduced by the enemy's armor, if it penetrates at all. In these situations, switch to a target with weaker armor if possible. Many low tier tanks fear the IS due to its capability to one shot some lower tier tanks. It has the highest "Fear Factor" among the tier 7 heavies. For a more medium tank play-style (being somewhat of a heavy medium anyway) using the 100mm "1D10T" D10T gun might be preferential. It does do less alpha damage then the 122's, but it has a good rate of fire, better accuracy and a better aim time, making a great scout-killer gun that can also engage at longer range then the 122's. Be aware that the T-44 tier 8 medium uses a similar gun as its top gun, a tier higher. Also, the credit cost per round is only a quarter that of the 122's, making it more profitable to use, which in turn makes grinding more enjoyable. 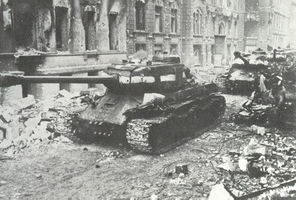 However, many more experienced players regard its use as a bad habit, as while it may be good for grinding out credits, it instills a play-style that is not suitable as preparation for later tanks, as ALL higher tanks use guns that have essentially the same style as the 122 mm's, if you don't like those guns, then heavy tanks probably aren't your thing, and you should grind out a medium line, but it is recommended for the grind towards the IS-3 for the more trigger-happy, as the far lower cost per round will allow you make credits much easier, but in a Tier IX game, you're essentially dead weight to your team with that thing, due to the anemic damage, and the fact that you can't use the peek-a-boom style, the epitome of IS game-play which is largely what survival in this tank is based off, the 100 is called the "1D10T" gun for a reason! You must keep in mind, perpetually, that there is very bad matchmaking for this tank, with a lot of higher tier matches, so you need to know that there is no alternative play-style for higher tier battles on this tank, it's just, simply put, a point-blank brawler. 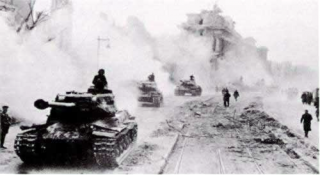 There will be numerous bounces at tier IX, for any sort of semblance to what havoc it should technically be capable of wreaking, you need to fight at point-blank range, and make sure you aren't hit. Keep some APCR in the rack for such cases. The best possible tactic would probably, in most cases, to go around, dart from cover to cover, then, when they 're all fighting your more powerful team-mates, go around behind to sting them! As far as your armor is concerned at this level, it is butter, and it is of utmost necessity to stay out of harms way. The fact is, their top heavies will kill you in 2-3 shots, and their top tank destroyers chew through 2/3 of your health in 1 shot. At this tier, you are pretty much an EXP pinata. 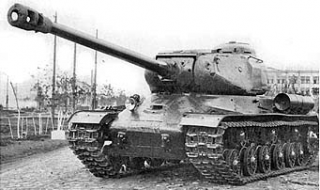 In short, like the KV-1S preceding it, its attributes that stand out for a heavy tank are its gun and its mobility, you should put them to good use in the higher tier matches to survive. Fortunately, its successors will remedy this issue with their pike hulls. 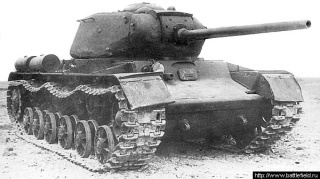 All in all, the IS is not a typical heavy tank, and should not be played as an assault tank like the KV-3. Instead, it is an opportunist brawler. As such, while its utility in tier IX matches is limited, it is a monster in tier VII matches and still a force to be reckoned with in tier VIII. Drive the IS to the heart of the battle, look for moments to strike with big damage and this tank will show why it is a contender for best Tier VII heavy tank. Note the V-2-54IS engine, the 12RT radio, and the 122 mm D-25T gun are also upgrades on the IS-3, the more you research here, the better later, as many modules will carry over.